The key feature of modern machinery production is a wide range of products of specified quality targeted at a specific consumer. The paper shows the relevance of creating automated quality management systems in machine-building industries. It also justifies the necessity of product quality management at all stages of a product life cycle. The study used the system analysis apparatus. There is a developed typical scheme of product life cycle steps and stages for engineering products. 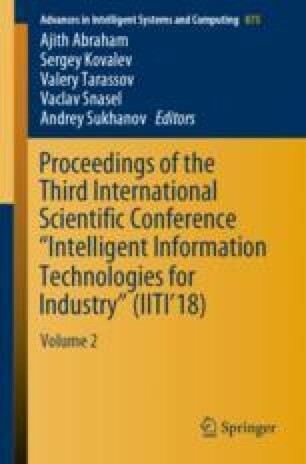 In order to reveal an information exchange and decision-making mechanism in an automated system of product quality management, its set-theoretical model was developed. The author considers the structures of input and output data for each operator subsystem. There are the principles defining the methodology of creating industrial quality management systems. Their implementation will allow developing sufficiently effective algorithms and software tools for making decisions within the framework of an automated system for product quality management in engineering. This work was supported by RFBR, project 17-01-00566.